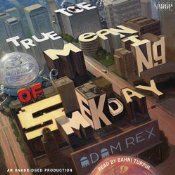 The True Meaning of Smekday by Adam Rex, read by Bahni Turpin. Grades 4-7. Random House/Listening Library, 2010. 10 hours and 38 minutes. Review copy provided by my local library. It all starts with a school essay. When twelve-year-old Gratuity (“Tip”) Tucci is assigned to write five pages on “The True Meaning of Smekday” for the National Time Capsule contest, she’s not sure where to begin. When her mom started telling everyone about the messages aliens were sending through a mole on the back of her neck? Maybe on Christmas Eve, when huge, bizarre spaceships descended on the Earth and the aliens - called Boov - abducted her mother? Or when the Boov declared Earth a colony, renamed it “Smekland” (in honor of glorious Captain Smek), and forced all Americans to relocate to Florida via rocketpod? In any case, Gratuity’s story is much, much bigger than the assignment. It involves her unlikely friendship with a renegade Boov mechanic named J.Lo. ; a futile journey south to find Gratuity’s mother at the Happy Mouse Kingdom; a cross-country road trip in a hovercar called Slushious; and an outrageous plan to save the Earth from yet another alien invasion. Hype. You know how it is. Sometimes everyone's gushing about a book (or an audiobook in this case) and it wins the Odyssey Award and yet... for some reason, you're reluctant to pick it up. Everyone loves this, but I will probably be the one dissenter, you might think to yourself. This is one of those books that I don't think I would have finished if I had been reading the print version. It's funny and wacky, but despite the madcap action it dragged in a few places. Young science fiction fans will certainly eat it up, but it would have been easy for me to declare, "Not My Genre!" and put it aside. That's where Bahni Turpin comes in. Bahni Turpin embraces the text fully and becomes her characters. Yes, she was absolutely hilarious as the alien J.Lo with his high voice and strange accent and clicks. But Turpin was also able to bring me to tears with a single phrase as Gratuity. This is a superb performance and Turpin is a perfect match for the text. If you've been holding out on this one, wondering if it could possibly live up to the hype, I'm telling you to give it a chance! The wacky humor makes this a good choice for fans of The Hitchhiker's Guide to the Galaxy by Douglass Adams, well-read by Stephen Fry. I'd also try this on kids who enjoyed Aliens on Vacation by Clete Barrett Smith or Bruce Coville's titles. Check out more reviews of the audiobook at Reading with My Ears and Book Nut. The True Meaning of Smekday is on shelves now! Hey, I'm an Audible affiliate, so if you purchase items after clicking the links on my site, I may get a small commission! If You Like A Child Called "It"